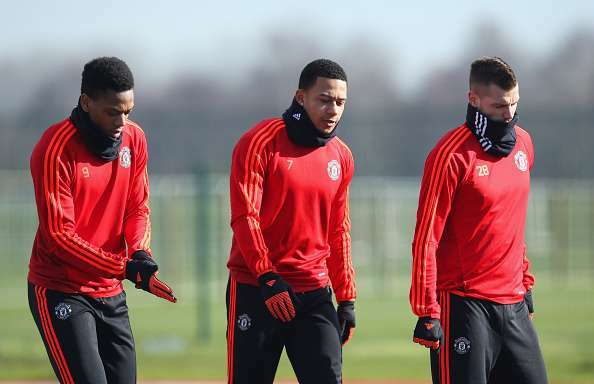 The manager also confirmed that the two will not be starting for the Red Devils again. Both Depay and Schneiderlin have fallen down the pecking order under Mourinho’s Manchester United. The players have hardly started any games this season and their growing frustration is quite visible. Both the players were brought on board in the 2015-16 season by former manager Louis van Gaal who had been a fan of the two. Depay’s signing was much celebrated since Liverpool were also keen on getting the player but unfortunately, the player decided to go with the red side of Manchester. Schneiderlin became a part of the squad a month later and was an attempt by the club to add steel to the midfield after the Frenchman impressed the United scouts with his performances in the Southampton jersey. There was a lot of talk going on regarding the future of the two players who were not even rotational players in the squad. The duo was perpetually relegated to the bench or left out of the squad much to their dismay. Loan moves for the two were doing the rounds but Mourinho has squashed these rumours in the press conference, stressing that it would only be a permanent move. The manager also added that at the moment there was no deal in the pipeline. He also revealed that while a couple of weeks ago it looked like as if the chances of the duo leaving looked “100 per cent”, right now, it looks like “zero percent” because the club haven’t received a suitable offer. Now that the manager has confirmed that they’ve indeed fallen out of favour at the club, we can be rest assured that both the players will push for a move forward. According to rumours, Everton have been keeping a close look on both the players and believe that they could be vital to their league campaign. Turkish side Fenerbahce are reportedly in for the Dutchman as well. Whether the players would move to a Premier League club or a club abroad can only be speculated at the moment. We welcome the press conference and are glad that Mourinho has cleared the air with respect to the two players who were a constant topic of media speculation. Both the players are definitely talented but could somehow never make the cut at Manchester United. The players, in all probability, have a long career ahead of him and would do much better at a club where they get regular game time.